After deciding to start a Michigan Cannabis business, one of the crucial next steps is choosing the right corporate structure for your business. To make this decision, it’s important to consider your business strategy, the complexity of creating and maintaining a particular corporate structure, and the tax implications of that structure. Choosing between a C-Corporation, S-Corporation or Limited Liability Company (LLC) should be done on a case-by=case basis because each business entity type is unique and this decision should be tailored to your specific situation. Before we discuss the different entities, we want to clarify a commonly misunderstood distinction when it comes to discussing entity types. An entity can be both a limited liability company and a corporation—it just depends on the lens through which you view it. There are two ways to look at an entity when it comes to corporate structure—the entity for purposes of taxation, and the entity for purposes of state law. To use my own law firm as an example, I am a limited liability company for purposes of state law, which is why there is a “PLC” at the end of my company’s name. The “PLC” stands for professional limited liability company. Being an LLC allows for greater flexibility when it comes to the internal management of the company. However, I am an S-Corp for federal and state tax purposes, which allows me to avoid the entity level taxation that applies to C-Corporations. In this way, my firm is both a LLC and corporation, it just depends on how you look at it. When it comes to deciding whether to choose an LLC or corporation for state law purposes, one of the key factors to look at is how many owners there will be and whether the company plans on bringing on additional investors. The advantage of the LLC is that is allows for maximum operational flexibility—you can specify how you want specific decisions to be made and who is able to make them. For example, it is common to have a manager or managing member that runs the day-to-day operations of a Cannabis business, while also reserving bigger decisions to a majority or super-majority of the members—e.g. deciding to purchase real estate, or making a purchase greater than a set dollar amount. In contrast, a corporation’s internal structure is relatively rigid. The shareholders elect board members, who in turn appoint officers to handle the day-to-day decision making. This structure doesn’t allow the owners to easily carve out certain decisions, nor does it allow for more nuanced governing structures. The advantage of this structure, however, is that it makes it much easier to bring on investors as well as agree upon an internal operating structure. A company with 20 owners may find it hard for everyone to agree on the operating agreement structure. Alternatively, a corporation, with its mostly set-in-stone structure, generally doesn’t usually have this problem. Typically, smaller Cannabis companies choose the LLC structure, whereas larger companies with more owners elect corporations. However, regardless of the state-level entity type they choose, most Michigan cannabis operating companies fall into one of two tax categories: S-Corp and C-Corp. The main exception to this rule is that the underlying real estate is generally held by a partnership-taxed LLC. 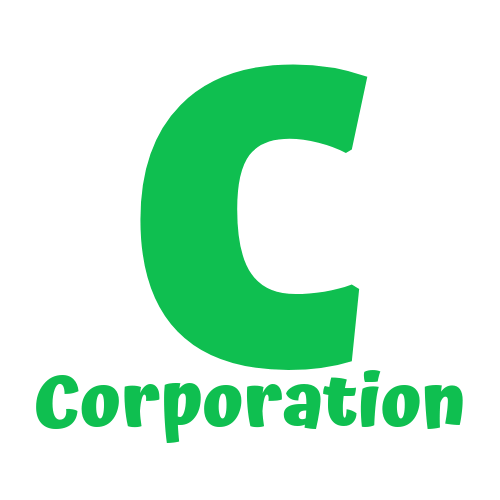 When a corporation is originally chartered by the state Michigan, it exists as a C-Corporation. If you do nothing more after forming your Michigan corporation, it will remain a C-Corporation. Unlike “pass-through entities”, a c-corporation has a distinct legal and tax life separate from its shareholders. The main drawback of being a C-Corporation is what is commonly referred to as “double taxation.” This means that there is both an entity-level tax paid by the company as well as an individual-level tax on salaries and dividends paid to the owners. Shareholders do not report any business income or expense on their individual tax return. The corporation files tax returns and pays its income taxes while the individual shareholders report and pay personal income taxes solely on money paid to them by the corporation. However, Shareholders are required to pay income taxes on salaries and dividends paid by a C-Corporation even though income taxes have already been paid at the corporation level. In sum, Michigan C-Corporations best serve owners who want limited liability, a more formal business structure, and the ability to accumulate assets in the business. The other main advantage of C-Corporations, which also is its main disadvantage, is that the profits and losses of your cannabis company do not “pass-through” to the individual owners. Provisioning centers are generally better off as C-Corporations because of the specific tax treatment cannabis dispensaries encounter. Section 280E of the federal tax codes mandates that legal cannabis companies may deduct only the cost of goods sold (COGS). Put simply, COGS are the expenses associated with the production of a product. Thus, costs associated with distribution, sale, administration, management, promotion, advertisement, overhead and support are not allowable deductions for provisioning centers under 280E. These include rent, shipping, most employee expenditures, most contractor expenses, legal, management, accounting, overhead, and compliance costs, to name a few. For most provisioning centers, costs that do not fall into COGS comprise a large percentage of the overall costs of the organization, leading to effective tax rates as high as 70%. It is therefore possible, and surprisingly common, for a provisioning center to both be profitable on paper and lose money once they tax bill is due. Since taxes are calculated based on a simple formula—revenue received minus cost of goods sold—you could make money for purposes of the IRS, but in actuality lose money since you still have to pay your employees, rent, etc. in addition to a substantial tax bill. You therefore run the risk of your seemingly profitable business losing money once taxes are paid to the IRS. It is also not entirely uncommon for an audit to result in a large tax bill or penalty, which if you are a pass-through entity, gets imputed onto the owners. Because a C-Corporation has its own distinct tax life, these tax bills stay with the entity and are not imputed onto the company’s owners, protecting them from substantial tax losses. Knowing this, individuals can avoid the potential tax liability that comes with operating provisioning centers in Michigan by choosing a C-Corporation structure. That way, if an audit reveals a huge tax bill or your company simply does not make money after its taxes, the tax bill does not pass-through to the individual owners. 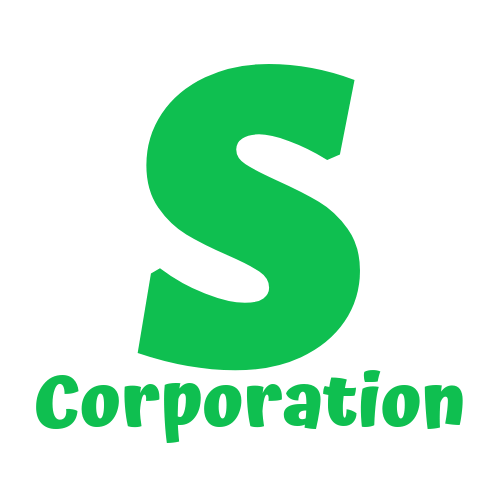 An S-Corporation begins its life as a C-Corporation. To become an S-Corporation, IRS Form 2553 must be filed with the Internal Revenue Service. Like C-corporations, an S-Corporation is recognized by the law as an individual entity, separate from its shareholders. Unlike C-Corporations, a Michigan S-Corporation does not itself pay any income taxes. Instead, the company’s income, and thus the taxes owed by the company, “passes through” or “flows through” to the owners. While an S-Corporation with more than one shareholder does file tax returns, the individual shareholders must include their share of the corporation’s income or loss on their personal tax returns. Thus, the fact that income and loss and the taxes associated with it flows through to the individual owners can also be a big disadvantage as the shareholders cannot simply “roll up” the company if they are hit with a tax bill they are unable to pay. Instead, each of the company’s owners is stuck with their pro rata portion of the tax bill. We explained why provisioning centers should be organized as C-Corporations—most of their deductible COGS are not related to the cost of production, which opens up the company to potentially devasting tax liability. This is not the case for other cannabis businesses—the production of products is what MMFLA licensed growers and processors are all about. In contrast to provisioning centers, grow and processor entities can reap the benefits of a more favorable tax rate under 280E. They are able to deduct most employee labor costs, rent, and most other costs associated with production. These entities are therefore much less likely to be hit with a huge tax bill since they are taxed similar to other non-Cannabis businesses (with some notable exceptions). Thus, the owners of a licensed grower or processor entity end up paying less tax on their profits compared to C-Corporations due to the fact that S-Corps allow flow through taxation, meaning they are not “double taxed” like C-Corps. This article broadly touched on the factors and considerations owners of a Michigan cannabis business should consider when deciding what type of entity to choose for the licensed marijuana business. While we do help clients choose between LLC’s and corporations, we always recommend clients and potential clients discuss tax election issues with a qualified Cannabis industry certified public account prior to making the final decisions with respect to deciding how you want your entity to be taxed. Our cannabis business law firm works closely with a number of industry accountants, which we are happy to refer our clients to.